Our service includes oil filter replacement, changing of the engine oil, checking and topping off of fluids and a free multi-point vehicle inspection. Our Transmission Service includes the flushing of the transmission system, replacement of transmission fluid and a performance test drive by a Certified Toyota Mechanic. Our Cooling System Service will keep your engine protected all season long, performed by a Certified Toyota Mechanic. Keep your vehicle’s wheels aligned with our computerized wheel alignment service, performed by a Certified Toyota Mechanic. 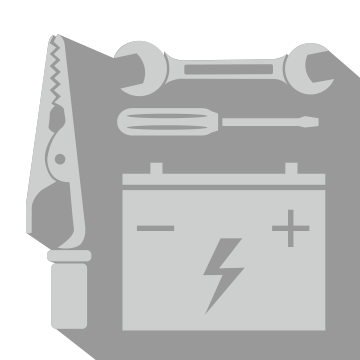 Let us check the life and performance of your vehicle’s battery. No appointment necessary! Present coupon at time of write-up. Valid only at Matick Toyota. We top off all fluid levels, check your tire condition and adjust tire pressure, perform a visual walk-around inspection and check for Toyota safety recalls. No appointment necessary, just drop on in! Present coupon at time of write-up. Fluid top off does not include gasoline. Valid only at Matick Toyota.